Hello. I am 23 years old and in graduate school getting my MBA. I was the “Pokémon Master” in my hometown when the craze first hit the United States. I loved the video games as well as the card game. 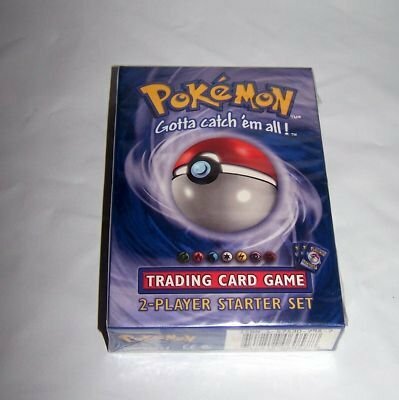 I played the card game through the Neo Genesis sets. I grew up in a small town; therefore, we did not have official leagues close enough for me to play in competitively. 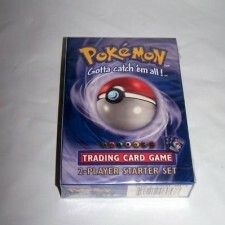 However, the local card shop held routine in house tournaments, and I never missed. As time passed, my friends all picked up Yu-Gi-Oh when it hit the scenes. Therefore, we switched to that game for a little over a year. Eventually, everyone’s interest in all TCGs died down and life moved on. Sports took on a huge part of my life, along with school related extracurricular activities and Pokémon was not school sanctioned. Fast-forward to the summer after my first year of college. I went off to work a summer camp, in Texas, with nine to twelve year old kids. They were really into Pokémon. Therefore, I started digging back into the Pokémon world to be able to relate to my campers. I researched everything. A lot changed in all areas of the Pokémon Universe (TCG, VG, and Anime). I went back the summer after my second year of college and the kids were still into Pokémon; so, I learned even more. However, after those two summers, I stopped paying attention to developments in the Pokémon community. Fast-forward again to fall 2010. I am leading worship at my church, and a member of my church is the local league organizer. We started talking about Pokémon, and he convinced me to come help/play/organize the kids at the league. I went and, so far, have not looked back. The game is still rich in depth, or so I thought. Understand me, I think the game strategy is very deep, but I soon realized that to seriously compete I needed a better deck, but the options are few. The deck must be affordable without having to rely heavily on trades. The deck must be a potential candidate for Tier 1 post rotation (assuming a RR-On rotation). The deck must be fun to play. The deck must be at least semi-competitive. This means that it must be able to produce at least a 50% win/loss ratio at events in the current rotation. My main man this time around. I really wanted to pull together a Top Tier deck that I could top cut with immediately because I am ultra-competitive. However, I found that those decks were going to be out of my price range. That is why I settled for the criteria that I did. I obviously discovered the power of the SP engine and a trio of tier one decks: LuxChomp, DialgaChomp, and Sablelock. However, with limited resources I was in a tough situation for building one of those three. Next, I researched the non-SP contenders. I found VilGar and Gyarados. However, with a limited number of league players (and most of them being very young and not having a large pool of cards to trade for), these decks were also out of my price range. I searched for many options, but after seeing the $5 blister packs at Target, Charizard was the deck for me to get back into the game with. This is my decklist, and I will describe the purpose of the cards non-standard cards after the list. I have a couple of different cards in the deck that are not standard. I only have the Blaziken FB, no Lv.X. I never, ever used the Lv.X to attack when I was testing with it. Therefore, I only kept the basic form. It is in the deck to drag out high retreat cost bench sitters that need to be KO’d. I also run four Judges. Judge has been critical for me. It can single handily keep me in some games. Other than those two, it is a pretty standard and consistent list. After testing and playing with my deck, I decided that it was time to get my first taste of a premier event with my Charizard deck. Missouri States, here I come. On a side note, I had been testing Magnezone/Regirock since before it performed well at the ECC and really wanted to play that deck. I had the whole deck built except for two Magnezone Primes going to States. I had assumed that I would be able to purchase a couple Magnezone Primes when I got to the venue, but alas, the Primes were sold out. I tried to trade to get the last two, but I could only get my hands on one. A couple people had some extras, but they were not willing to part with the cards. So, to start my first every premier event I was a little bummed because I was not going to get to play Magnezone/Regirock. Oh well, life goes on. I drove to the tournament by myself. I did not know anyone there, or so I thought. First, I met a really cool guy from Kentucky, and we played a friendly warm up game. He used his LostGar deck (I love playing against LostGar. Charizard actually matches up pretty nicely), and I won on prizes and he had only taken two prizes and sent one to the lost zone (the prizes were from Spiritombs that I sacrificed). As we were playing, my cousin-in-law walks up to say hi. He is several years older than I am and he had two kids competing at the tournament. So after a win in warm ups and seeing my cousin-in-law, I was ready to go. This game opened up with me going first. I had a lone starter and could not do anything. He draws, plays a couple of things down and has Mime Jr. active. He attacks with Sleepy Lost (without doing anything to rearrange my top deck) and sends a Charizard into the Lost Zone turn one. What a bad start to my first premier game. I recovered from the poor start and took three fairly quick prizes. However, it was speed that ended up killing me. He ran a TM Devoluter in his deck and played a spread damage type of game against me. I had used Rare Candy to get my stage 2’s out. So, he would spread damage then devolve to my base form. That often resulted in a knock out, and my Pokémon being sent to the LZ due to Catastrophe. To be completely honest, I really thought that I had that game. I could have easily played through my evolution lines and not been faced with the problems I did, but ultimately going for the speed, killed me. I should have taken my time and fully set up against his deck. I easily controlled my hand throughout the game, but his devolver system was the death of me. In the end, I am sure Zack would disagree, but I cannot help but feel that I gave this game away with some bad misplays. I also could not for the life of me draw into the energy I needed. I had literally every Pokémon of his in play within OHKO range, but I could not get any more energy flowing in the mid game. This game also went long. I might have had a chance at dragging it out until time with a prize lead, but I do not like doing stuff like that. The play stayed crisp and fast. It might have cost me the win, but my hat goes off to Zack he played really well and to my knowledge, he is a pretty good player (Turns out he is ranked 10th in Missouri in the Master’s Division). This is my favorite deck to matchup against. This guy was extremely nice. He had a better background in Yu-Gi-Oh, but he was playing Pokémon with his kids. This game was extremely relaxed, and that was good for me. I really thought that being nervous/tight contributed to my first misplays. I mulliganed my first draw. Then I got the ultimate Charizard hand the second time. I started with Spiritomb active and Charmander, Vulpix, and Cyndaquil on the bench. This game was played entirely under trainer lock, but that did not really affect me. Good game. This was a really cool deck that he put together. Our actual game was fairly boring though. I opened with Spiritomb and began setting up. He started with a lone Skunktank and KO’d two of my Spiritombs. On something around turn six, I got Charizard active with a full bench. He had not drawn another basic or any search cards. I attacked with Fire Winga and ended up donking him. We played a second game. His deck worked much better the second time. 2-1 and feeling pretty good. 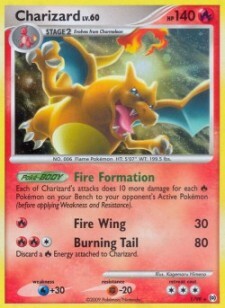 Most people with say that Charizard cannot hang with LuxChomp. Well that is 50% truth. If I get a Spiritomb start and get to go second, its game on. I have tested this matchup a lot and am right around 50/50. The deciding factor is always whether or not I can get the one or two turn trainer lock early. Typically, if I can get to around turn 4 down only two prizes, the game is right where I want it. Well I opened with a lone Charmander and had to go first. I attacked with Call for Friends and it was his turn. He unleashed the toolbox on me, and it was game over. I just could not get a second Charizard set up after he had that massive head start. 2-2 Now, my wife had just got off work back home (two hours away), and I was sure that I was out of top cut. I told myself that if I lost the next round I would drop. What I wouldn't give for two more of these. Next time maybe. I was jealous. He had the deck that I wanted to run. Like I said earlier, oh well. We both opened Spiritomb AR and began setting up. He took off fast and took an early 3-0 prize lead. However, I had a plan. Every Pokémon that I sent out to die early took at least two energy to knock out. I eventually took a prize and he took another one. He had two left and I had five. Then the game changed. I had been counting the number of fighting energy he had been sending to the LZ. It was getting to be a lot and he had no more fighting energy in the discard to bring back to the field with Regirock. 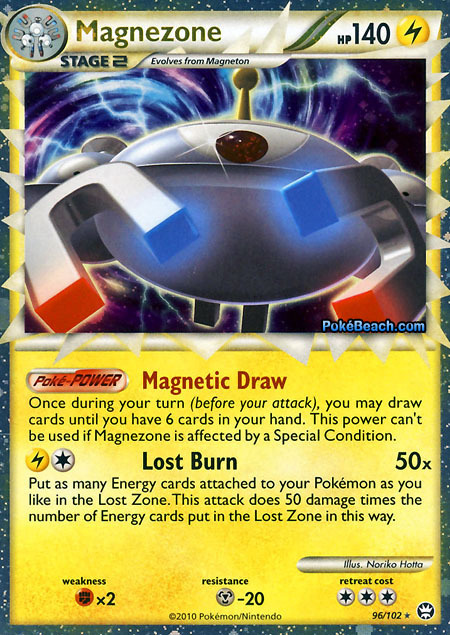 This severely limted his damage output because he also could not get a Stormfront Magnezone out. It was my turn to go on the attack. I took the next four prizes to make it 2-2 prizes left. He took one with a poison structure of all things. Then I cleaned up for my last two prizes. He had been holding Magnezone SF Super Connectivity in his hand for a long time, but he could not get to a Magneton to get that Magnezone out to attach discarded lightening energy. This was an awesome game. I really enjoyed it. We talked for a bit afterward. It seems like Magnezone Prime might be a player in the next rotation with the Parichisu from Call of Legends. 3-2 I had life again. Time to see the next set of pairings. Of all the people who were at 3-2, I was the one to get paired up to a 4-1 player. I would have much rather been playing another 3-2 player with a non-SP deck. Well basically, just like with LuxChop, if I can get an opening Spiritomb and go second this is a very good match up. Instead, I started with a lone Vulpix and a bunch of trainers. Oh, I also had to go first. I go first, hit Diagla G for 40. He goes and plays like four or five trainers and sets his whole bench up. He attaches an Energy Gain and energy. He Defens for 10 and lock. That was basically game over. 3-3 I dropped at this point. I wanted to drive back home. I had the goal of at least breaking even in my first premier event and did that. So, I was happy about the day. I am still a little ticked at myself for letting the first game against LostGar get away. Maybe if that would have been a win I would have avoided the SP decks. A couple of the top players in Swiss were playing rogue (T-Tar, Tangrowth, Regigigas). I would have much rather played any one of those. In all, there were actually a lot of players avoiding the Tier 1 decks. There were a lot of really fun Rogue decks. I think that people are getting tired with LuxChomp/DiaglaChomp/VilGar/G-Dos are are ready to try new things. I also think that a mid season rotation would be awesome. Whenever the rotation comes, I sure hope it is RR-On so almost all of my deck is still playable. I am hoping to go to Regionals and play again. I had a blast of a time. It was a really cool thing to see how diverse a set of people come to ply Pokémon. Maybe I will have my Magnezone Deck ready by Regionals. I am still looking for one or two Magnezone Primes. Starting with one basic (not Spiritomb) and having to go first against the two SP decks I faced. Making a lot of rookie mistakes in my first game (but great job capitalizing on them Zack :) ). Getting to be the 3-2 that paired up with a 4-1 instead of playing another 3-2. Try not to netdeck a Tier 1 deck right when you start playing. I wanted to do that, but I am extremely glad that I did not. I learned so much more about the game through wrestling with a rogue deck choice. It teaches you to think independently about how the game works and what you can do to win. Then after you learn from going rogue, feel free to netdeck your LuxChomp. You will understand what your opponents are trying to accomplish when playing against a rogue deck. Also, this season is running out of time. So, netdecking a SP deck will get your card pool rotated out in August. Stemming from the rotation idea, if you are starting to play in the middle of the season, use the rest of that season to get acclimated to the competitive scene. Do not go out and play with the intentions of winning your first tournament. Then plan on doing extremely well in your second season. Yes, some people go out, play to win their first tournament, and do win. I contend that you will have a better understanding of the TCG as a whole and be better suited to compete in the future if you learn to play rogue first. You need to be sure to set attainable goals. My goals were to get acclimated to the competitive scene, be semi-competitive, stay at a 50% win/loss or better, and not spend hundreds of dollars. Because I set reasonable goals, I had met all of my goals already. Now, it is time for me to revaluate my goals for Regionals and decide whether or not I want to make a serious play to at least Top Cut and maybe go Top 8 or better. Thank your reading my first article. Hopefully there is more to come. Until next time.